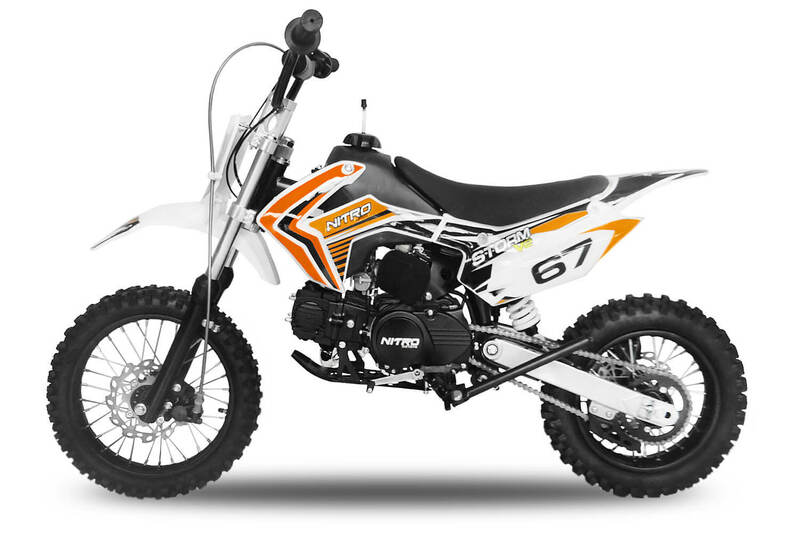 Storm V2 110cc mini dirt bike available only from MiniBikes.Store. Perfect starting bike for kids age from 8 years old up to 15 years old. Easy to maintain and hassle free 4 stroke engine, semi-automatic gearbox and kick start make Storm 110cc dirt bike perfect first bike. Video of our day out on the Storm 110cc Semi-Auto Pit Bike, the NRG50 Dirt Bike and an Electric Quad Eco Repti 800W all from Nitro Motors. Full review video of brand new 110cc Pit Bike Storm V2 from Nitro Motors. In this video I will look in to brande new Cross 100ccm Storm V2 from Nitro motors.